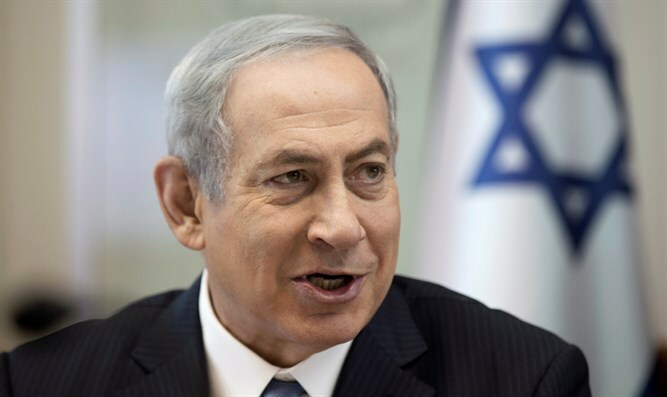 Israeli Prime Minister Binyamin Netanyahu on Sunday morning told Likud ministers that he intends to advance the "Nationality Law" declaring Israel to be a Jewish state, with everything that declaration entails. Netanyahu explained to the ministers that his decision comes "partly as a result of the HEbrew University event during which the national anthem was not played." In last Thursday's graduation ceremony at Hebrew University, the national anthem was not played "in consideration of the other side," meaning the Arabs who were present at the ceremony. The decision had been made "by the high-ups," they said. Netanyahu attacked the decision, saying, "The Hebrew University's Faculty of Arts and Humanities made a shameful decision." "This is the height of obsequiousness, and it is the exact opposite of national pride. We are proud of our country, of our flag, of our anthem. "This incident only serves to strengthen my opinion that we must pass the Nationality Law, in order to anchor our national symbols, important to all of us, into Israeli law."